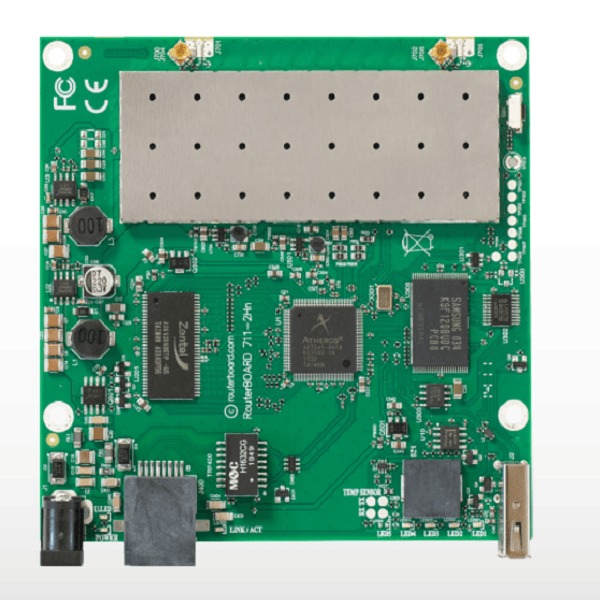 The RB711UA-5HnD is a small AP type RouterBOARD 5GHz wireless router with an integrated wireless card. 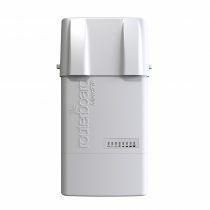 It has two antenna connectors for using in dual chain setups, and USB port. 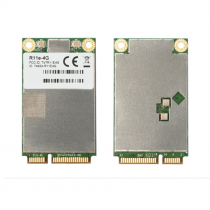 The integrated 5GHz 802.11a/n wireless card is capable of up to 25dBm! 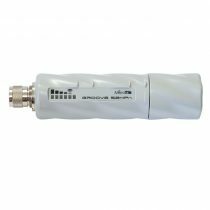 It has built in 16kV ESD protection on both the RF and Ethernet ports. 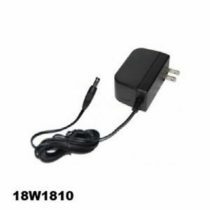 Power over Ethernet: 8-30V DC on Ether1 (except power over dataline). Simply plug any 48V PoE powered ethernet cable into one port, and any 8-30V capable RouterBOARD device into the other. 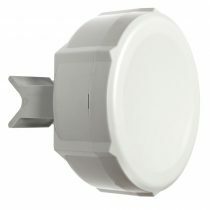 This device is capable to provide high power output – up to 24W (up to 1A at 24V). The case can be opened with one hand, and is protected against the elements. Ethernet and a Grounding wire exits are provided on the bottom, behind a protective door.